The Smart Payment Association (SPA) is the trade body of the smart payments industry. 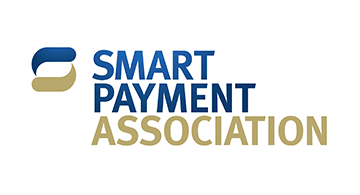 The Smart Payment Association addresses the challenges of the evolving payment ecosystem, offering leadership and expert guidance to help its members and their financial institution customers realize the opportunities of smart, secure and personalized payment systems & services both now and for the future. The SPA is a non-profit organization, founded in 2004 by the world’s leading secure payment technology providers. Its membership represents the complete card issuance value chain; from card manufacturers, through operating system and application developers, to personalization and post issuance companies. With more than 2 billion smart payment cards delivered by its members in 2015, SPA represents about three quarters of the smart payment cards market. Outside the Americas, over half of all smart card shipments featured ‘tap and go’ technology.